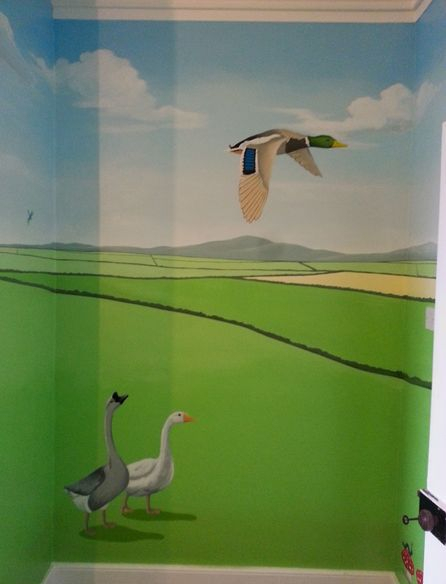 We travelled to the lovely village of Herbranston in Wales to complete this wildlife mural in a little girls bedroom. 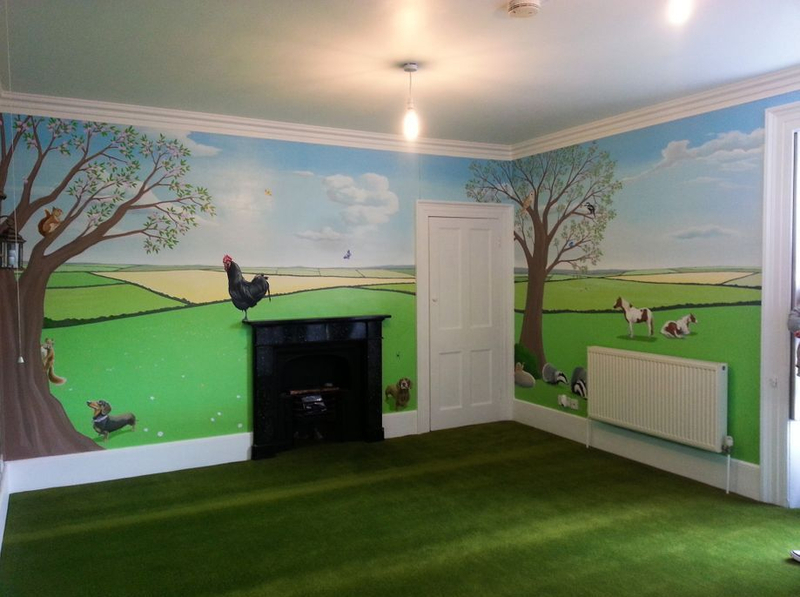 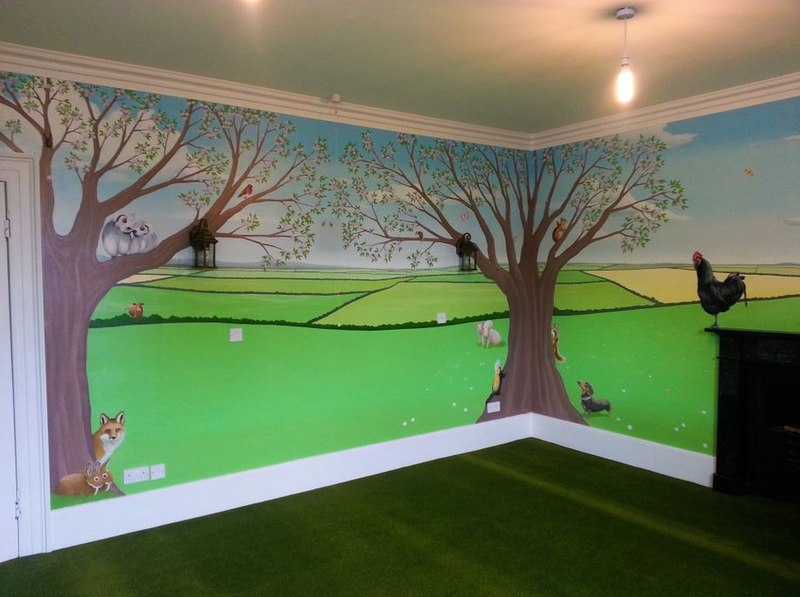 We painted all four walls (excluding the built in wardrobes) with the rolling hills and fields of the Welsh countryside in the distance, then in the foreground we included three main blossom trees surrounded by various woodland and farm animals. 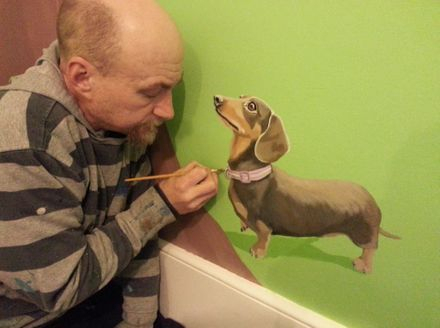 A lot of the farm animals we painted were based on animals that the family actually owned, including two of their miniature sausage dogs, Martha and Benson. 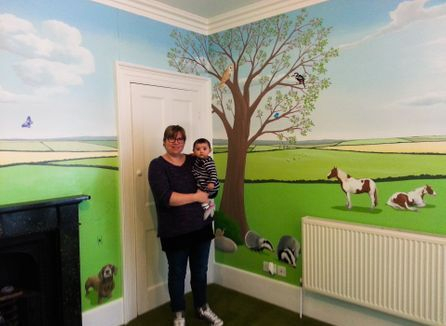 We painted geese, horses, owls, pigs, sheep, birds, squirrels, badgers, cockerels, butterflies, rabbits, a fox, a hedgehog, a ferret, a mouse and a tiny ladybird! 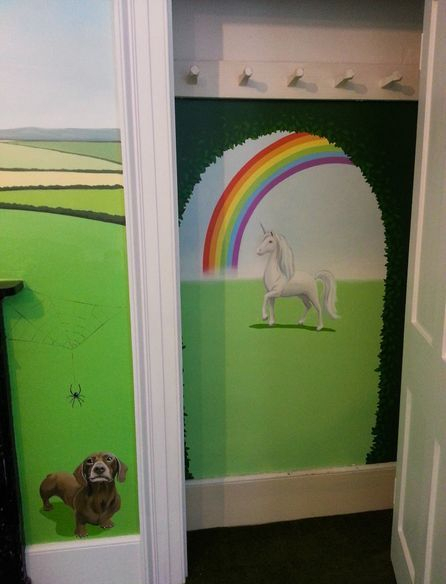 There was a shallow cupboard in one corner of the room which we painted a unicorn and a rainbow in, to give the room a magical surprise. 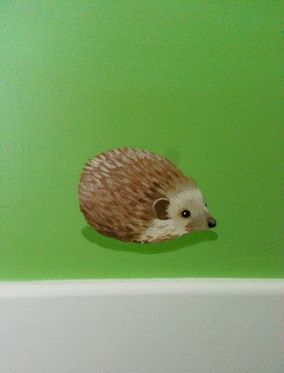 This took us seven long days to complete.